A lot has happened this week in the marketing world. From Valentine's Day commercials, to Winter Olympic sponsorships, major events have been putting certain brands on our radar. While you may be caught up with the ads your seeing on TV, Google Chrome just made a huge change this week that will effect the ads you'll see online. Read more on this below! I mentioned in a previous article that Chrome was planning on changing their ad policies in the future. Well on Thursday, Chrome finally rolled this new ad-blocking feature out and shocked the marketing world in the process. The new ad block hopes to prevent annoying behavior such as automatically playing sound, or displaying ads that can’t be dismissed until a certain amount of time has passed. Google will blacklist sites that violate guidelines and filter all ads that appear on those sites. Although there has been a lot of hype surrounding this change, the number of sites Chrome will actually block turned out to be pretty small. 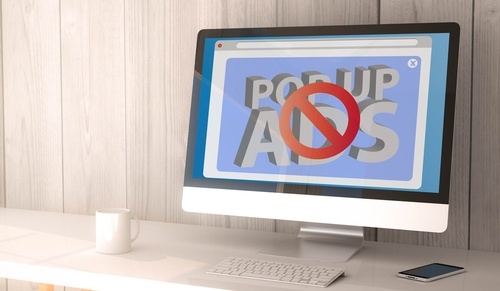 Only 1% of the most popular sites in North America currently violate the guidelines. This change is still expected to be a good thing for advertisers as it’s bettering the current standards. Killing off good ads and promoting the good ones will create an experience which is better for the user. Valentine’s day is full of stereotypical gifts. From chocolate, to flowers, to stuffed animals and heart shaped cards, spending for the occasion is up this year, according to data from the National Retail Federation, to $19.6 billion However, this year there was a new surprising favorite, Sweethearts. Yes, the little heart candies that taste like chalk and have little messages on them, were more popular than boxed chocolate this year. Marketers were confused about the surge in Sweethearts purchases this year, as the taste is sub par at best. They found that its not the flavor that led to their popularity, but the words on the candy. The messages on the candies range between classic ones used for decades (“Be Mine,” “Kiss Me”) and more culturally current ones (“Text Me,” “Tweet Me”). Sweethearts even asked the public to submit nominations for new messages, with those new additions including “puppy love” and “you rock." They have also have added a variety in Spanish recently. According to the NRF, among 18-24-year-olds who plan to shop for Valentine’s Day this year, 69 percent of them will buy this candy. Many cities today are implementing bike sharing to cut back on pollution and to promote good health. Bike riding is currently most common among urban millennials but some cities are taking measures to combat that. The government is in the process of making it easier for low-income riders and those without a credit card or smartphone to ride a bike. They are calling it 'bike equity.' To attain bike equity, cities are implementing discounted memberships for food stamp recipients; starting bike-riding classes; making pay stations that accept cash; and recruiting riders from under-served neighborhoods. The goal is to bring disadvantaged communities a reliable and healthy alternative to mass transit. Excitingly, the interest is there too! Most low income people said they would like to use a bike share but the high cost of membership is keeping them from using one, as well as worries about traffic safety. The first city to implement this was Washington, DC, 10 years ago. The idea was to provide tourists with a fun way to get around. Other cities soon followed and started similar programs. Those of us in the industry know the right and wrong was to get inbound links. Inbound links are one of the best avenues for long-term online traffic growth. Not only do they convey authority to your site, but they also benefit your overall SEO. There is also the possibility of referral traffic and the strengthening of your brand’s credibility. Sounds good right? The problem is, getting these links is harder than it sounds. In fact, doing it incorrectly can have an adverse effect on your site's ranking. Read these tips for doing it the right way! There’s a new trend with major sporting events: TV ratings are on the decline! Is this because less people are watching? No, it's actually the opposite. While the Olympics are getting a huge number of viewers, most of them today are streaming. In fact, digital streaming delivered its largest prime-time audience for the 2018 games. NBC was under fire recently when the Nielsen data revealed that ratings were down. This led to NBC measuring “total audience delivery” (or TAD) numbers — a metric that mixes traditional Nielsen ratings with NBC’s estimate of viewers watching via the NBC Olympics app or other online platforms. So while there were 21.4 million viewers watching on regular NBC, there were also 2.5 million viewers on cable’s NBC Sports Network, and then there were about 234,000 non-linear viewers. On Sunday, NBC says the overall audience for prime-time Olympics across platforms reached 26 million, almost matching 2014’s 26.3 million mark for the first Sunday of the Sochi Games.